AGM President, Doug Parker (CEO of American Airlines). It is a great honour to be invited to your Annual General Meeting and I would like to extend my sincere thanks to the IATA member airlines, as well as Tony Tyler, for giving us this unique opportunity to address you for the first time - in a year that marks the 70th Anniversary of IATA and 40 years since CITES entered into force. A significant amount of wildlife and wildlife products are legitimately traded each year under CITES. Many of these are transported by air and we have enjoyed a longstanding and beneficial relationship with IATA – especially in relation to CITES requirements for the transport of live animals and plants. However, today I am here to talk about the devastating economic, social and environmental impacts of illegal trade in wildlife – being wildlife that is traded in contravention of CITES, how air transport is being used by criminals to transport their contraband and how the air transport sector can further engage in helping to combat this illegal trade. 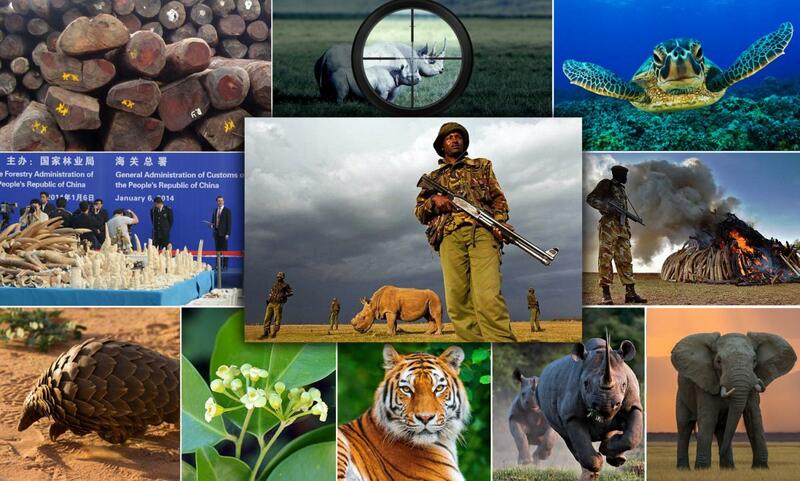 CITES is a legally binding agreement between 181 State Parties, that sets the international rules for wildlife trade. The Convention regulates international trade in over 35,000 species of animals and plants, including their parts and derivatives. The nature of the various trade measures utilized by CITES to regulate this trade depends primarily upon the biological status of the species. Over recent years, however, we have been experiencing a surge in illegal trade in wildlife, especially as it affects elephants, rhinos, pangolins and some precious timber species. This illegal trade is global in nature and is taking place at an industrial scale. This dynamic has been well recognized by the United Nations (UN) Security Council, UN Crime Commission, and INTERPOL, as well as many others. Considerable scaled-up collective efforts are underway to combat wildlife crime, yet it continues to be a major problem worldwide, estimated by some to be worth up to 20 billion dollars a year – ranking it amongst other serious transnational crimes such as the trafficking in people and arms. The recovery of the White rhino is a great conservation success story, mainly due to the efforts undertaken in South Africa, but these gains are now under threat. Poaching was well under control up until 2007 when only 13 animals were poached . Since that time we have seen a rapidly increasing level of poaching, which reached a high last year with 1,215 rhino poached in South Africa alone for their horn. In overall terms, there are less than 24,000 rhinos left on the African continent, with another 3,000 in Asia (including just 200 Sumatran rhinos). The last Javan rhino in Viet Nam was lost in 2011, and the last known rhino in Mozambique was lost in 2013, both to poachers – and the ranger in the photo you can see on the screen is protecting the last surviving male northern white rhino on the planet. To put these numbers into a human context, the Sun Life Stadium here in Miami has a capacity of 65,000 people – that is over two times the number of rhinos left on the entire planet and more than twenty times the number of wild tigers. We are fortunate to live in an interconnected world – something you know better than any audience. But legitimate forms of transport are being exploited by transnational organized criminals and others to transport their contraband. As your environment committee has noted, this can pose a safety risk to airline staff and passengers. It may also give rise to potential legal, reputational and financial risks. This contraband will, however, travel vast distances and go though many hands on its way to illicit markets, meaning there are many points along the way where it can be disrupted. Our collective objective must be to maximize the risk of trading illegally by disrupting it at every step along the illegal supply chain. We are certainly not asking IATA member airlines to become de facto customs or enforcement agencies, which perform core functions of government. But enforcement agencies cannot operate in isolation, they require access to good intelligence from multiple sources and this is where the transport sector can play a critical role. Distinguished delegates, you have tens of thousands of staff in the field dealing every day with customers, cargo and passengers and you have a deep knowledge of your own cargo supply chains. Your e-freight initiative offers opportunities for closer collaboration with CITES to better secure legal trade in wildlife through reducing the fraudulent use of permits and in detecting illegal trade. Related to this is ensuring that any legitimately traded wildlife adheres to IATA standards and CITES requirements. Your own IATA CEO, the CEO of Emirates, the CEO of Kenya Airways, myself and other leaders are all part of a Transport Task Force established by The Royal Foundation, under the patronage of HRH the Duke of Cambridge and chaired by William Hague – a distinguished former UK Foreign Secretary, to address how the transport sector can assist in combatting illegal trade in wildlife. support customs and other enforcement agencies through the provision of intelligence gathered by your staff working on the ground. There is a global collective effort underway across countries, the UN, international and national organizations, philanthropic entities, and dedicated individuals to combat illegal trade in wildlife. 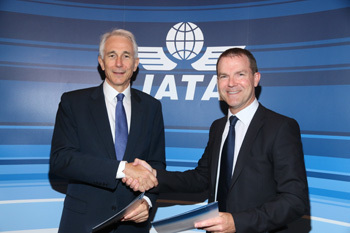 Today we reach out to all of you to join in this global effort and we offer our full support and that of our partners to assist you as necessary – and yesterday your CEO and I signed the first ever MoU between CITES and IATA, which commits our two organizations to work even more closely together. Distinguished delegates, there are many issues on your agenda this week and some will no doubt give rise to differing opinions and lively debate. I hope that joining this global effort to put an end to this highly destructive illegal trade is an issue that can unite you.